I made this pillow cover today to hide a ragged one. 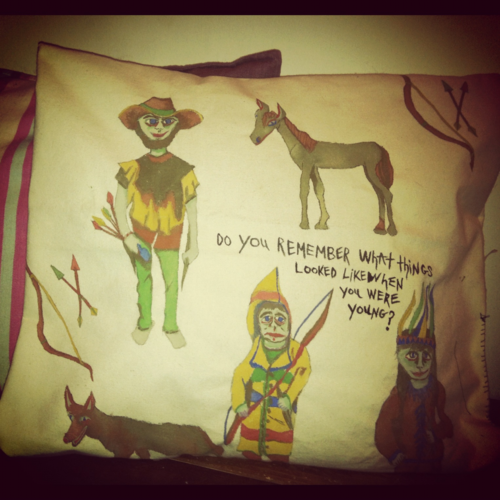 This is the most amazing pillow I'm sure I'll ever see. Thank you for its manifestation. Geez, I'd dream so hard all through that thing.